You may be interested to know that Costa Rica has a high population growth rate. It’s no surprise, especially given our profession and what we know and love about the country. This little tidbit comes as affirmation, though, that what we and our buyers see in it is real. At the same time, even without this affirmation, we’d still be hooked. The Republic of Costa Rica is flourishing in just about every aspect. You couldn’t ask for much more. Many of its residents live in rural areas, but that doesn’t mean you have to follow suit. 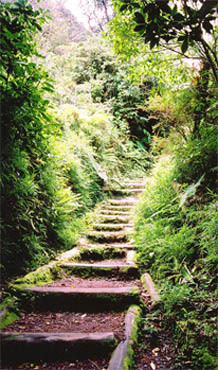 Costa Rica’s terrain and climate are a little diversified throughout the land. Depending on what you’re looking for, you may not have a preference and will readily settle anywhere, or you’ll know precisely which region is the premium choice. For example, if you find peace in the mountains, the Cordillera de Guanacaste may be the place to search for your future house. Homes for sale Costa Rica here are affordable, click here to see listings. Equally important, the actual transaction of investing in foreign property isn’t half bad. Sure, it takes a little effort, but not one step is in vain. You find a home and we can make the first move. We’ll handle the hurdles with ease, because number one, we have the experience to do so, and number two, that’s what you expect from us. With Dominical Real Estate representing you, you can rest easy knowing it won’t be as nerve-wracking of a process as you’ve heard international real estate can be. You can trust that we’ll guide you in making a wise investment. You can look forward to a successful transaction, and be able to enjoy your new home sooner rather than later. The work of our team is invaluable because we value you. Let’s start browsing the beautiful houses for sale together.